I sat down to play this Froggy Bottom Baritone for a just a couple minutes on my lunch break, I swear! But, after strumming one or two chords, I decided to forgo the worldly pleasures of food for the day and spend my whole half-hour exploring the many exciting avenues for expression it presents the adventurous guitar player. Putting it down was simply not an option, and it provided me with a much more important form of nourishment, anyway: musical inspiration. Why was it worth a rumbly tummy? Well, instruments like this always make me think of this one Joni Mitchell interview I read where the journalist asked her why she used so goshdarn many open tunings. She replied that she liked how they forced her to approach the guitar from the perspective of a wide-eyed beginner as she fumbled for the one, four, and five chords, and she said this caused her to think of more out-of-the-box ideas. Playing this guitar had a similar effect on me! Frankly, I was so inspired that I may or may not have contemplated taking a “sick day” so I could keep playing! So, why does this Froggy Bottom push you to create new music with such vigor? Well, it has a 25.5” scale length, so it has a significantly different timbre and feel than any other baritone guitar I’ve played. 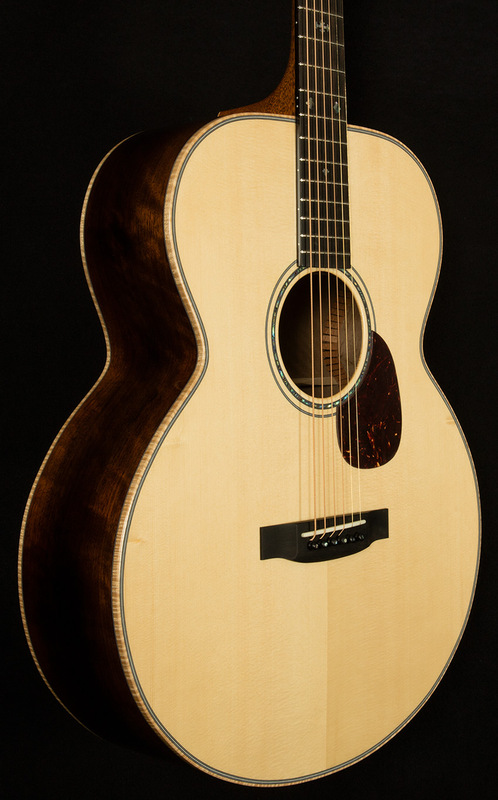 The shorter scale gives it a wonderfully round, woody, thoonking attack, and it also helps cultivate a righteously slinky handfeel. 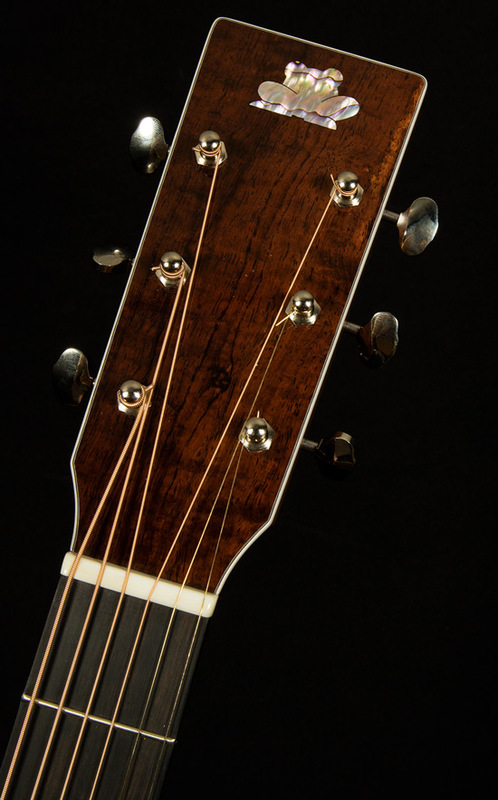 Despite the slightly lower tension, it can still handle just about any tuning. It seems to like living in C# Standard, but it can handle B Standard and C Standard with aplomb as well. Beyond that, the world is your oyster. You can use all sorts of fun low tunings. Ever wanted to do some dark, eldritch Celtic riffing in DADGAD, but a whole step lower? Ever gotten the urge to play in open Csus4 tuning like Nick Drake? Want to get crazy and play in open B? 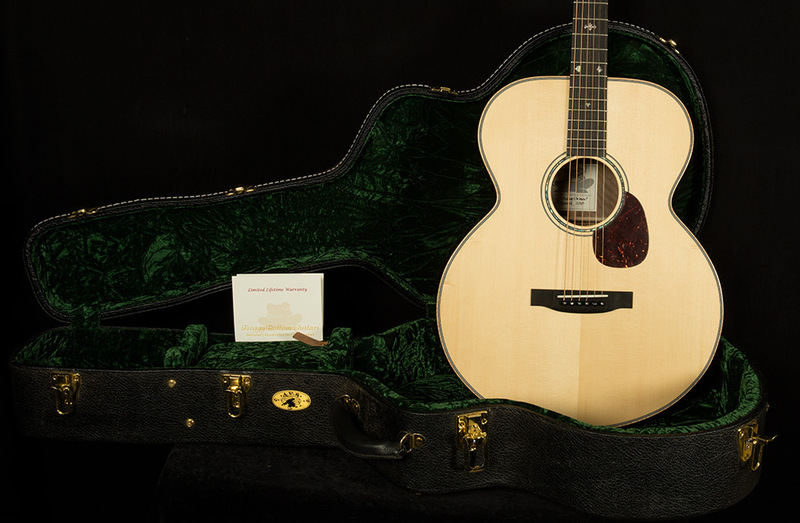 This is the guitar with the clarity and depth to go there! I know the question has formed in your mind: how in the Sam Hill does a 25.5”-scale baritone not sound muddy when it receives so much low-end information? 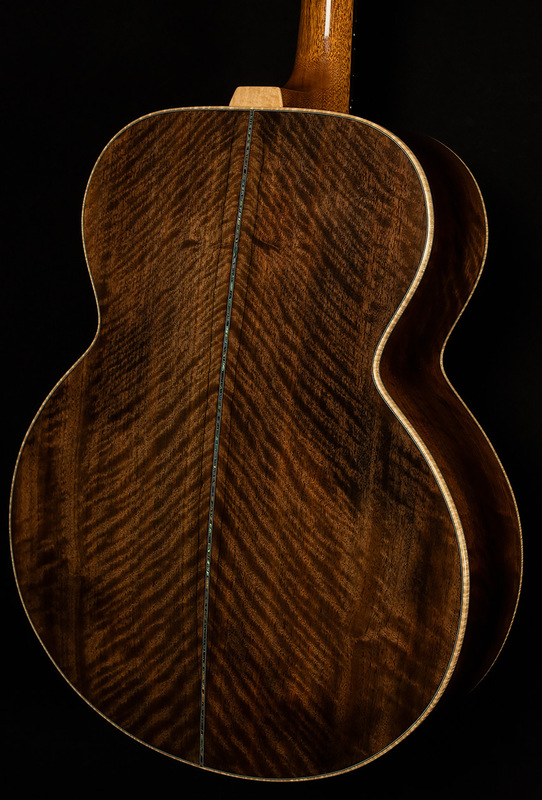 The answer is twofold: one, the tonewood pairing is perfect; two, our friends at Froggy Bottom are benevolent wizards that have chosen to use their infinite power to make guitars that do impossible things. I can’t explain magic, so I’ll focus on the tonewoods. 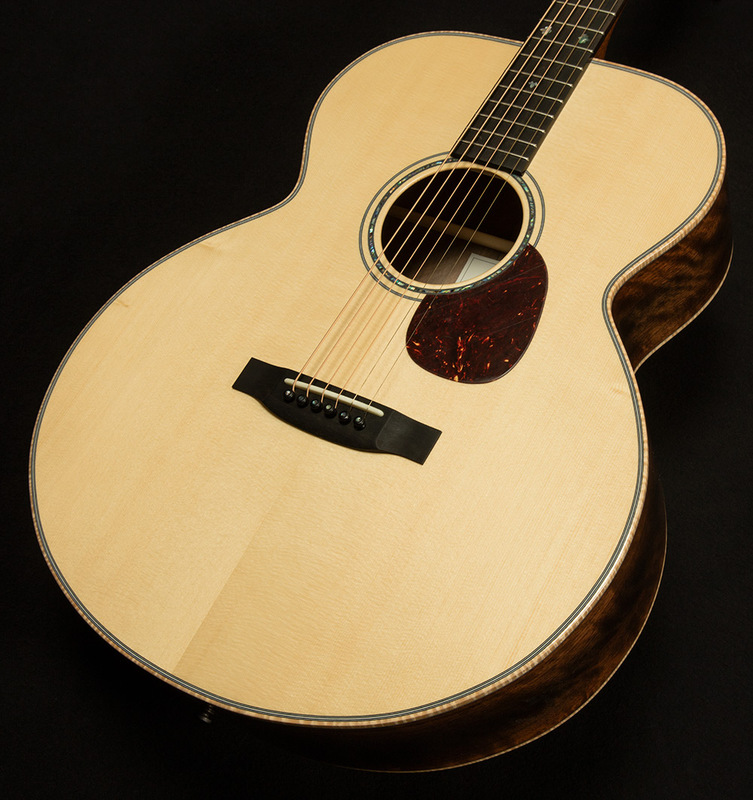 This serial has an Adirondack spruce top and walnut back and sides. 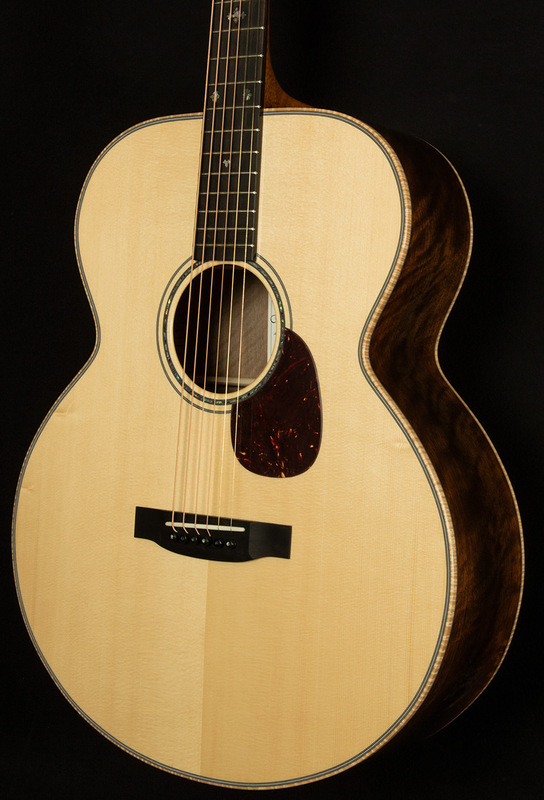 We love Adirondack spruce here at Wildwood for the way it gives acoustic guitars immense amounts of clarity, headroom and dynamic range, and for the way it gives the guitar’s attack a woody, percussive quality. So, the top helps this guitar sound clear in the low-end and crisp in the highs while simultaneously giving the player an enormous amount of control over the dynamics. This is the sort of instrument that really listens to the player’s input and changes its timbre accordingly. The ridiculously clean, clear articulation allows you to hear every nuance of your attack, too! 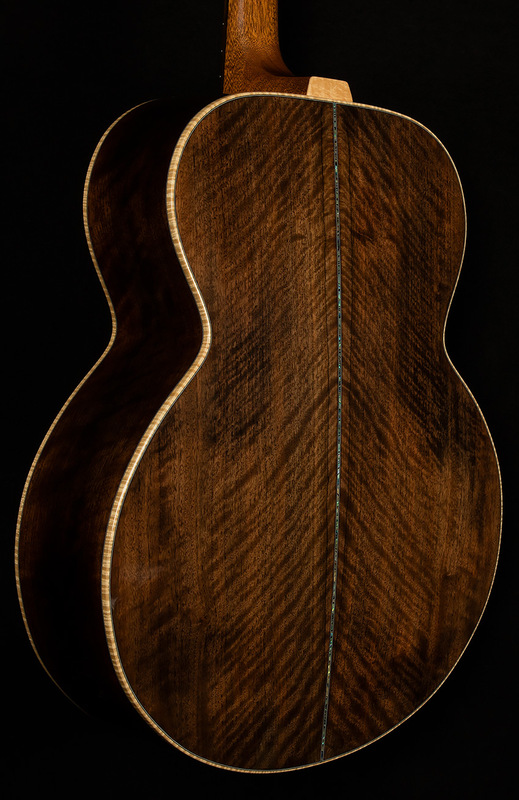 Meanwhile, the walnut back and sides lend the guitar exceptional woodiness and clarity. It adds plenty of midrange, too, and it makes the highs clear and sunny like a May afternoon while helping the lows remain tight and focused. 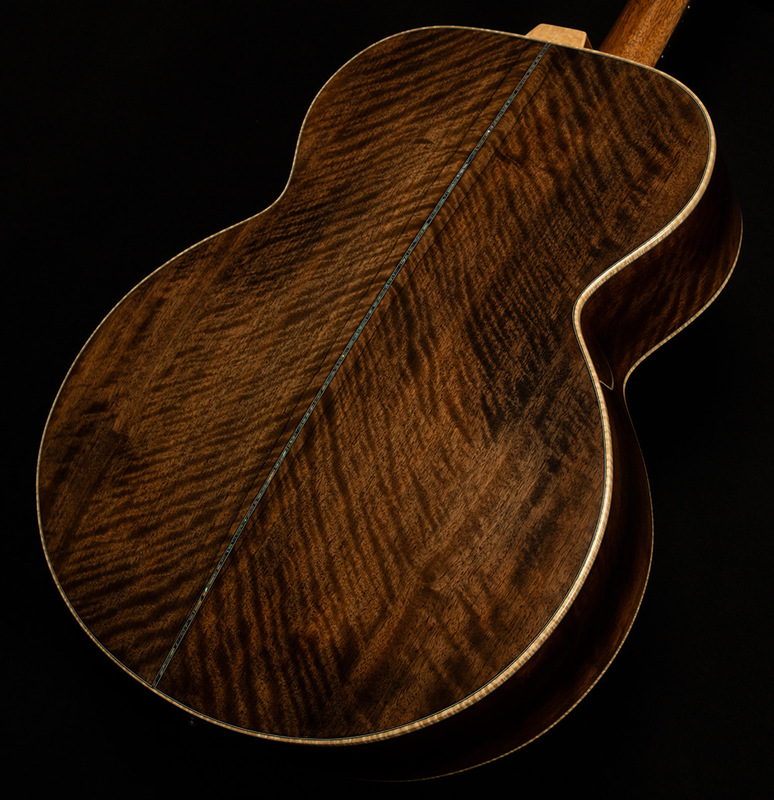 So, these tonewoods go together like Simon and Garfunkel! The top makes this guitar sound dynamic and open while giving it ridiculous clarity, and the back and sides warm things up while also tightening up the low-end. So, you get a baritone that manages to sound woody AND bright without any ugly, flubby frequency response to muddy things up. It projects like nobody’s business, but it is able to assert itself because it speaks with a forceful, clear baritone voice rather than a chocolate-y, rich one. Personally, I can barely even focus on my work after playing this guitar because I can’t stop thinking of the interesting ways I’d use it on the stage and in the studio. It could easily become a secret weapon for recording, but it could also be the ultimate solo performance or accompaniment guitar. Or, perhaps you will dream up some creative way to use it that I’d never think of in a million years. Perhaps that is the magic of an instrument as unprecedented as this Froggy: it pushes you out of your comfort zone and into the unknown, and the unknown is quite an inspiring place to be!